In El Maresme you live well, In fact very well. This does not generate any doubt. The sea proximity not only provides this region with magnificent beaches, but also generates a mild and pleasant climate all year. This allows that in this region a great variety of agricultural products is cultivated with a quality recognized by all. Wines, peas, strawberries from the Maresme are common products in our markets. But if this were not enough, in Maresme there is a great cultural and social life. The museums that we find in most of the towns are a good example of this. Museums about maritime life, architecture, agricultural or archaeological are a good argument to visit and even to decide to live in the Maresme. We can add also the wonderful luxury homes that we can find. 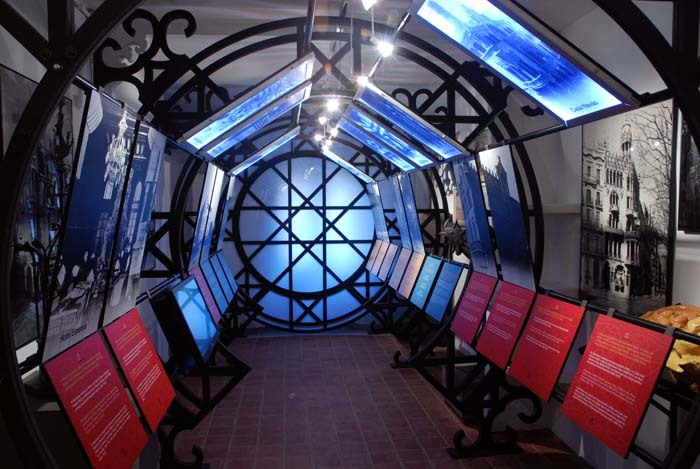 We have selected some of the most outstanding museums that we can visit in the Maresme. Tuesday to Friday, from 10 am to 2 pm, and from 4 pm to 8 pm. Saturdays, from 11 a.m. to 2 p.m. and from 5 p.m. to 8 p.m.
Sundays and holidays, from 11 a.m. to 2 p.m. Closed Monday. Founded in 1975, this museum is unique in the world in its specialty: the world of the “cántaro”, although there are some private collections open to the public elsewhere in the peninsula. The collections of the Museu del Càntir de Argentona are made up of more than 4,000 specimens ranging from the Bronze Age to Picasso, as well as large collections of vaulted ceramics from the 14th to the 18th centuries, numerous specimens from the 19th century. The bulk of the collection is made up of culture and traditional mud throughout the twentieth century. Its origin is very diverse, but mostly it focuses on Catalonia and Spain, although in recent years many specimens from other countries have entered, such as Portugal, France, Italy, Morocco, Mexico and Peru, among many others. Every year the International Ceramics Fair is held in Argentona with approximately 70 ceramic artisans and institutions that exhibit and sell their work to the public in the largest manifestation of the art and culture of the country’s clay. In 2019 the fair will be held on July 5, 6 and 7. From July 1 to September 15: Tuesday to Saturday, from 11 to 14 and from 5 to 8 pm, Sundays, from 11 am to 2 pm. From September 16 to June 30: Tuesdays, Wednesdays, Sundays and holidays, from 10.30 am to 2 pm, Thursday, Friday and Saturday, from 10.30 am to 2 pm, and from 4 pm to 6 pm. Monday not holidays closed. The fund of the Palau Foundation is constituted by the double legacy of Josep Palau i Fabre. 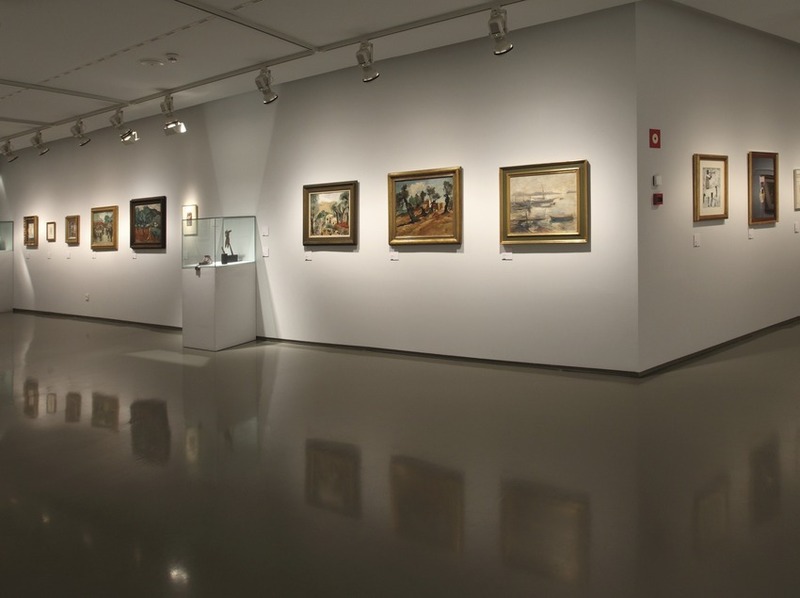 On the one hand, the art collection gathered by his father, Josep Palau i Oller, integrated by a wide range of Catalan painting and early twentieth century. On the other hand, the contribution of the own Palau i Fabre, who with the determination to follow the collector’s task of his father, has gathered a large collection of works by Picasso, as well as contemporary authors such as Perejaume, Barceló and Pepe Yagües. Josep Palau i Fabre (Barcelona on April 21, 1917 – February 23, 2008) is considered one of the great personalities of Catalan literature of our time. Thanks to his relationship with personalities such as Picasso, Artaud, Octavio Paz, Cocteau, Lorca, Alberti, etc. It connected Catalan culture with the most important artistic trends of the 20th century. From Tuesday to Friday from 9 am to 2 pm and Tuesday from 5 pm to 8 pm. Saturday from 10 a.m. to 2 p.m. Monday and Sunday closed. For more information call 93 795 46 15. The Domènech House is one of the four buildings built by the modernist architect Lluís Domènech i Montaner in Canet de Mar. The architect and his wife, Maria Roura, spent long periods in Canet de Mar and the house in which they lived, the Rocky farmhouse It was small for the family, they had eight children. Domènech i Montaner, with his son Pere and his son-in-law Francesc Guàrdia Vial, designed the Domènech house, which was built between 1918 and 1919. Visitors can admire the old dining room decorated with ceramic panels originating from the church of Comillas or the fireplace with ornamentation belonging to the Hospital de Sant Pau. On the first floor there are the access stairs to the second floor made with wood and the plaster test of the throne of the church of the Seminary of Comillas, and the modernist style bathroom that Lluís Domènech i Montaner designed for his wife to use. Enric Monjo i Garriga (Vilassar de Mar, February 12, 1895 – Barcelona, October 2, 1976) was a sculptor with a large production of works of art. In 1971, the Encyclo Monjo glyptotheque was created to disseminate the work of this artist, who gave much of his sculptural work to Vilassar de Mar. His work is characterized by geometry, schematism and the great domain of human anatomy. He did many works of a religious nature. 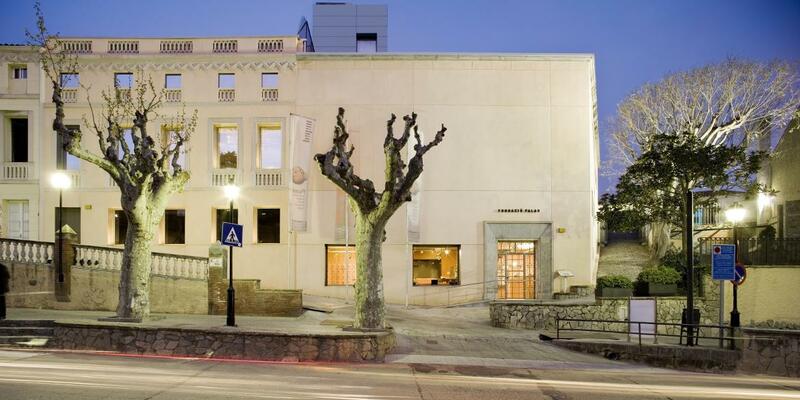 The museum occupies the old hostel, documented since the seventeenth century, which served as a resting place for travelers who used the old royal road that connected Mataró with Barcelona. The building preserves some interesting graffiti on the lateral façade, witness to the decoration that covered the entire building, the work of Eduard Ferrés. Previous Previous post: House for sale in Cabrils with stunning sea views, reduce its price! Next Next post: The legent of Sant Jordi in Maresme!